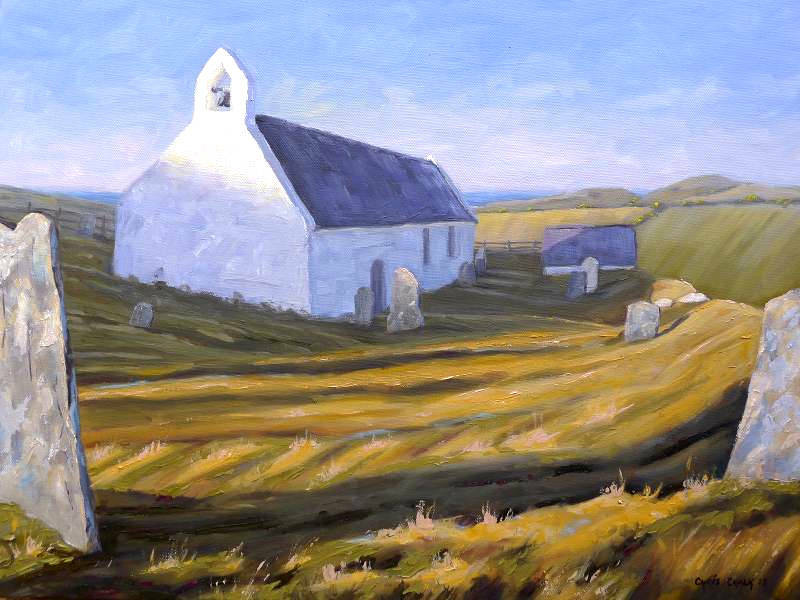 The beautiful church at Mwnt is captured here in the late afternoon, with the warm sunlight hitting the bell-tower and long shadows cast across the ground by the ancient grave stones. 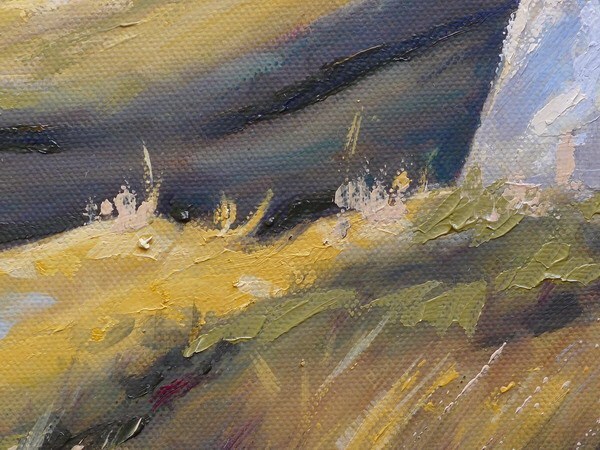 Look closely and you'll spot the sea in the distance. 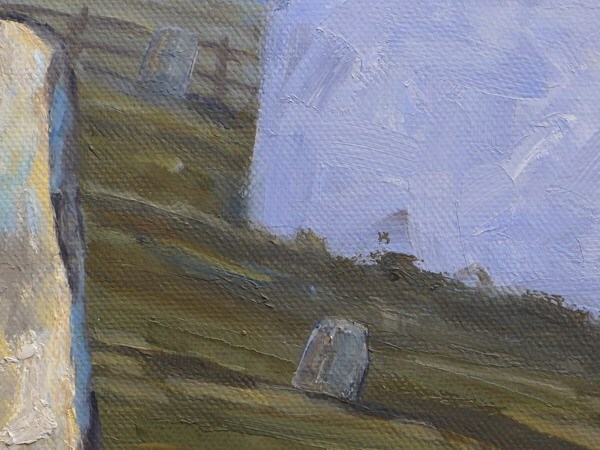 "Church of the Holy Cross (Welsh: Eglwys y Grog), Mwnt"
Luscious thick paint applied with a palette knife bring the foreground out of the painting and toward the viewer.